Frank Shields is interested in just about anything that has to do with the environment and the chemistry of soil, water, and biomass. During his 35-year career as an environmental chemist working for Control Laboratories, Inc. in Watsonville, California (United States), he has encountered plenty of variety to keep his interest fresh as the issues around resource use change over time. Shields discovered biochar as a new, interesting research topic a few years ago at a compost conference. 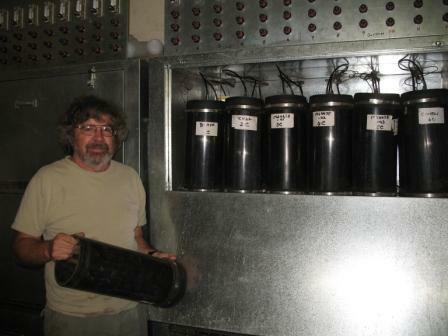 Shortly thereafter, the community of biochar researchers and experimenters discovered Control Laboratories, Inc. and started sending him their biochar to test. Shields estimates that he has tested biochar for about 50 different customers. He has also made his own biochar in a GEK (Gasifier Experimenters Kit) from All Power Labs and in the lab in a muffle furnace. He is doing his own plant growth experiments and experiments to see how biochar can be used to break up clay soils and improve drainage. Another specific interest is finding ways to turn sewage treatment bio-solids into biochar to control odors and to destroy pathogens and pharmaceutical residues. 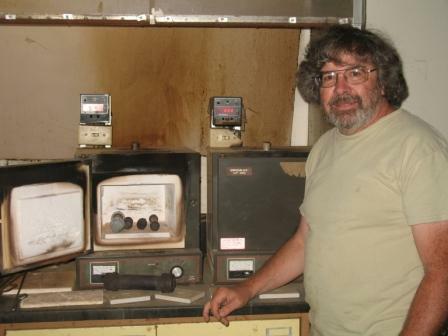 Shields is highly qualified to tackle the question of how to characterize and test biochar qualities: he was one of six pioneers in developing Test Methods for the Examination of Composting and Compost (TMECC), the national standard for compost testing procedures adopted by the US Composting Council (USCC), and he has been a member of the Standards & Practices Committee of the USCC since 2000. Control Labs has the ability to measure many kinds of biochar properties as well as perform bioassay tests such as germination tests on biochar-soil mixtures. IBI is in the midst of a biochar standards development process that is now at the point of determining the specific tests and testing protocols that will be used to characterize different grades of biochar. While there are many different qualities of biochar that can be tested, it is important to test only those qualities that must be known – otherwise testing becomes too expensive. Similarly, the tests that are used need to be simple enough that that they can be done by labs all over the world using common equipment. Finally, until there are biochar specific test procedures published in the peer-reviewed literature, biochar will need to be characterized using tests that were originally developed for soil, compost, fuel charcoal, activated carbon and other well-known materials. Shields has a good handle on all of these testing concerns, and the basic series of tests he recommends are based on standard test methodologies. In his view, the three main reasons for testing biochar are to: 1) determine if it is safe to work with and apply to soils; 2) assess how it will impact particular soil properties in use; and 3) characterize biochar appropriately for research purposes so that impacts can be traced to particular properties. Shields believes that the primary safety concern is the set of EPA 503 regulated metals (US Environmental Protection Agency standard).The two biochar properties that most affect soils are liming equivalent (due to the amount of ash contained in the biochar) and the relative fractions of mobile vs. resident carbon – this is basically a measure of how well the material has been charred. For research purposes, it is also important to know something about the activation of the biochar, or the extent to which it works like activated carbon with high porosity and the ability to adsorb nutrients and other substances on the pore surfaces. For more information on the Control Lab, please see: www.biocharlab.com or you can contact Frank Shields directly by email. An ICP (Inductively Coupled Plasma) device used to determine metals in biochar; all photos courtesy of Frank Shields. 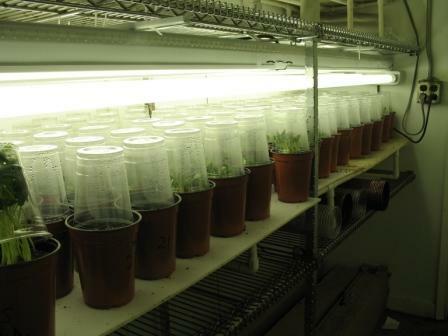 Pot trials under specific conditions with cucumber plants. 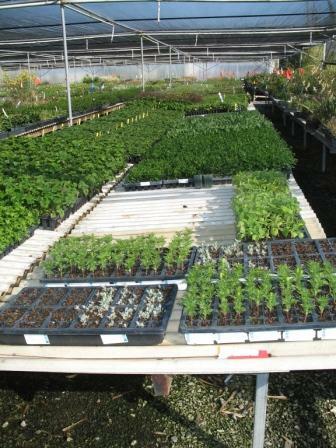 Shields also works with a greenhouse to perform pot trials with biochar samples. The large black tubes are for testing soil-biochar and compost-biochar mixes to determine changes that take place at given temperatures and time. The out gas is monitored in the air moving through the material.